To provide optimal spray-on polyurea protective coating and polyurethane foam solutions for your specific application, IXS Coatings uses reliable, state-of-the-art, plural-component spray equipment. As the largest Graco distributor in the United States, we offer a full range of proportioning system options—from low-output, air-driven units for smaller applications to high-output, hydraulic systems for high-production professionals. The experts at IXS Coatings will take the time to understand your spray-on needs, find the ideal equipment to meet them—and make on-site setup simple and straightforward. And to keep your system running at maximum efficiency for years, our full-service parts and equipment department provides fast, effective service when you need it most. 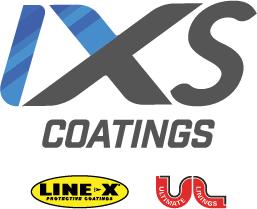 For industry-leading, spray-on polyurea and polyurethane foam solutions, the team at IXS Coatings has you covered.